We thank you for taking this opportunity to meet Dr. Reyes. Our Mesa dental office offers advanced dental treatment for all patients including children, geriatrics and the handicapped. We hope this information is useful in helping to illustrate why so many patients trust the experienced, gentle care provided by our team. Dr. Sandra Reyes completed her undergraduate studies at the University of the Pacific in Stockton, California in 1998 where she received a Bachelor's Degree in the Biological Sciences with a minor in Chemistry. She then continued her dental studies at the University of California, San Francisco where she received her degree of Doctor of Dental Surgery in 2002. Dr. Reyes moved to Gilbert, Arizona in 2002 immediately after graduation and became the sole-provider in a private practice in Chandler, Arizona where she gained a vast amount of experience. Six months after graduation she began the construction phase of this dental office. Dr. Reyes has been at this location for 14 years and plans to remain here in order to afford her patients a dependable location in which they can return to anytime. Dr. Reyes has a passion for dentistry that is rarely seen. She created this practice from the ground-up and without any patients as a reflection of her passion for this profession. She feels that all patients should have access to uncompromised dental care and as providers we should meet the patient's needs and expectations. The level of care she provides is seen not only in her high personal and professional standards, but in how she relates to her patients just as much as how it reflects in our surroundings. This is one of the reasons why you will see only her name on the building...because you can expect to receive A-class service directly from her. One of Dr. Reyes' accomplishments has been to complete an intensive 24- hour special needs training program sponsored by the Arizona Department of Health Services and the Robert Wood Johnson Foundation where she treated children with special needs in the areas of epileptic/seizure disorders, ADD/ ADHD disorders, Autism Spectrum Disorders, cognitive impairments, orthopedic impairments, phobias, and sensory disorders. Dr. Reyes hopes to reach this under-served population and to provide them with much needed care. In addition, she continues to work towards obtaining her Fellowship in the Academy of General Dentistry which requires an extensive course study encompassing all areas of dentistry including prosthodontics, endodontics, periodontics, orthodontics, oral surgery,pharmacology and oral medicine. Dentsply Sirona is the world’s largest manufacturer of professional dental products and technologies, empowering dental professionals to provide better, safer and faster dental care. Dentsply Sirona is a global team that brings out the best dental professional, breathes high performance and personal accountability, acts with uncompromising integrity, improves the practice of dentistry with an unrelenting commitment to doctors and demonstrates a passion for innovation that shapes the dental industry. Annually, they offer a 4-day Symposium which offers doctors from all around the world the opportunity to not only get to know their products, but to also learn more about all of the newest developments in Dentistry. A 4-year curriculum where Fellow and Master Candidates are exposed to the latest topics in implants, crowns, veneers, occlusion, rehabilitation, photography, pathology, radiography, etc. This course prepares all participants to meet the rigorous requirements expected for Fellowship or Master Status. A 1-year comprehensive multidisciplinary team approach to restorative therapy for osseo-integraded dental implants. Every year, Dr. Reyes and Staff serve the AZ Mission of Mercy which provides free dental care to the needy in Phoenix. They serve 8 hours every December and provide care out of the AZ Fair Grounds. Every year, our office finds new ways to provide back to the community. An example of that was Dr. Reyes' participation in the Arizona Dental Foundation's first annual Dance for Dental event which took place in October of 2014. It served to raise over $30,000 in order to improve the downtown Phoenix dental clinic which serves to the homeless, handicapped and disabled. Dr. Reyes primarily gives back to her community through church service. Since 2004, she has made herself available to treat any emergency patients that her parish has referred. From 2013 through 2016, she established and served as President of the Board for Catholics in Action, a religious non-profit which produced a full-length documentary film that is now being distributed internationally. At the same time, she served as Secretary/Treasurer of another religious non-profit she helped establish in 2013. Both these organizations were founded in Cuenca, Spain, but serve the Gilbert Community by providing faith-based programs through their new mission in the United States. 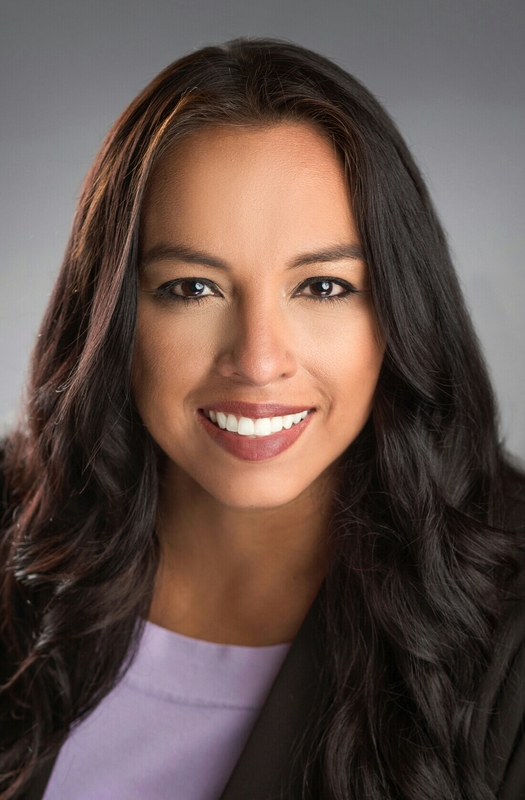 Presently, Dr. Reyes is an active member of the Catholic Association of Latino Leaders - Phoenix Chapter and looks forward to continue to serve her faith community. Dr. Reyes lives in the Phoenix East Valley with her three children. She enjoys travel, learning new things and simply spending time with her children. Other hobbies include home improvement, scrap-booking, genealogy and telling a good joke!